Trekking in the South Caucasus can be arranged all year round: in winter you can admire the snow-covered slopes of the Caucasus Mountains, in summer you are welcome to enjoy the sun and sea in the coastal regions. The easiest way to arrange an interesting trekking is to choose one of the national parks. 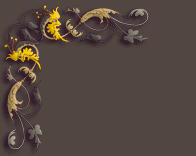 In such places marked trails of different length and complexity are already arranged. Today we want to tell you about the most interesting and popular routes of the different difficulty of the two beautiful countries of the South Caucasus - Armenia and Georgia. 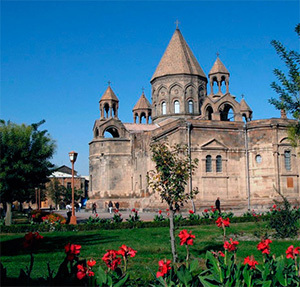 Due to delightful mountain landscapes, favorable climate and original culture – tours to Armenia and Georgia will be a great choice for the fans of active holidays, trekking and hiking. 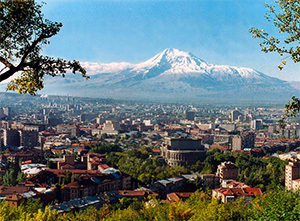 The mountainous regions of Armenia are perfect for active tours. The best season for trekking is Armenia is May. This is the season when everything is in blossom; it is warm, but not hot yet. A fresh cold breeze will play in the mountains. Dilijan is the most popular destination for tours to Armenia due to its amazing natural beauty. Tourists come here for treatment and recruitment in sanatoriums, or just for organizing hiking and camping in the dense forests of Dilijan. The most popular hiking trail here passes from Lake Parz to the village of Ghosh famous for its Goshavank monastery (XII cent.). On the route, you can arrange a camping in the forest or a halt at the lake. For a more complicated level of trekking, head to Azhdahak Mountain. This is the highest point of the Geghama Range (3597). The trail to the mountain will pass through alpine meadows and colorful landscapes. At an altitude of 2600 meters, you will see the oldest petroglyphs. Your route will be finished with a breathtaking view of the mountain lake Akna in the crater of the mountain. The lake is so clean and transparent that you can see the bottom. The trail back passes through Lake Vank. Another popular trail in Armenia for unforgettable adventures passes through the fortress Amberd and leads to Mount Aragats. The mountain has 4 points, with the highest point on the territory of Armenia (4090 m). The most popular trekking route leads to the southern peak (3879 m). The climbing starts from Amberd Fortress (X-XIII cc) and passes through Lake Kari. Be prepared for sudden temperature changes: the higher you go, the lower the temperature will be. Georgia offers an unlimited resource for outdoor activities, so take your backpack and get ready for a fascinating journey. One of the most popular travel destinations in Georgia is Mount Kazbek. The ascent to Kazbek is not for the weak, and it requires special skills. Well, if you are ready for adventure, you will have an unforgettable journey. An extinct volcano (5034 m) hides mind-blowing beauty and that is why so many extreme lovers are attracted with the mountain. The beginning of the ascent is not difficult, so even beginners can overcome difficulties. There are several trails of different complexity passing through Kazbek like - Kazbegi-Barisakho, Kazbegi-Arkhoto-Shatili and others. Your journey will pass through the gorges, ancient fortresses and monasteries. Svaneti is a mysterious region of Georgia and another popular destination for unforgettable impressions. The treks here mainly will pass through the medieval towers. By the way, the region is called, "The land of a thousand towers" which are included in the UNESCO World Heritage List. In addition to historical attractions, here you will find boundless meadows, breathtaking mountains with glaciers and lakes. For amateur and professional photographers Svaneti is a real paradise. Every single shot is a masterpiece. Svaneti is also an ascent to the peaks of the Caucasian range like Shkhara, Tetnuld, Ushba and others. Megrelia is not such a popular destination, however, it is a real treasure with unique reliefs and Lake Tobarvachkhili. The walking trail through dense forests will be a real journey through the jungle. And that's just the beginning. The mysterious caves with waterfalls and underground rivers will give you unforgettable impressions. The nature reserve of Borjomi - Kharagauli is considered to be the largest in Europe, it includes six areas with thought-out walking trails, and each of them is unique in its own way. Your journey will pass through subtropical and alpine meadows, oak forests, along deep canyons and rivers. The trails of medium difficulty can be passed in two to three days.